﻿These classes are for the student who wants to improve all of their Musical Theatre Performance Skills. This class will include instruction in acting, dance, vocal performance, music theory, voice and diction for the stage, and stage combat. It will also offer basic instruction in technical theatre such as costume, set, and lighting design, and will introduce American musical theatre history, play analysis, and play writing. This is for the well rounded student who wants to experience all aspects of Musical Theatre. For the even more serious student please see our Academy Novice and Apprentice Program. Classes for High School students are designed to further develop young artists as they fine tune their skills and prepare for further education at the college level. 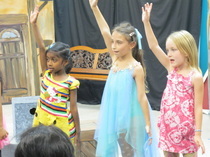 Additionally their classes will include play analysis, “How to Audition”, and scene study. Many of these students may be new to these skills, and others may have worked on them for some time. Expectations will be on an individual basis, but all will learn from each other. We become better actors when we become better observers. When you are aware of your world you will grow as an artist. Dates and Times: COMING SOON! 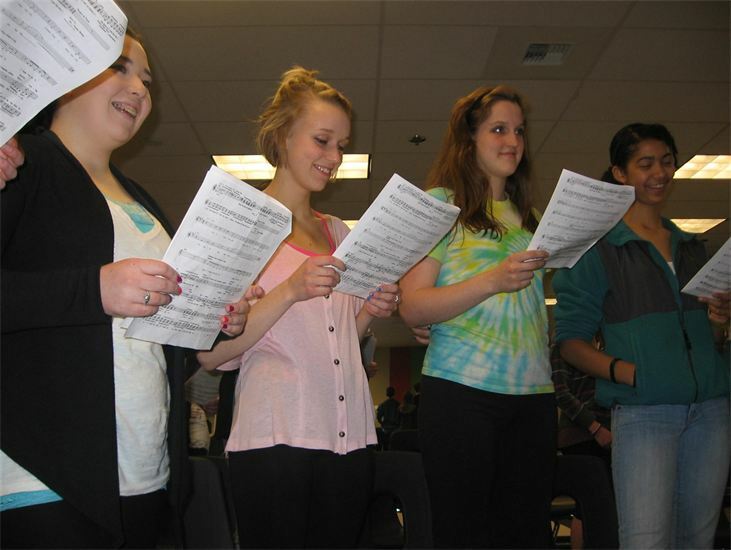 ​This class is for students wanting to learn to sing in a group environment. We will work on ear training, breathing skills, tone, and using the voice both as a solo and ensemble instrument. It will be a good place for students to begin vocal training and will perform a demonstration for parents and friends at the end of the session.